The Presidential Election has been set for Sep 23 if more than one person qualifies to run for the position. Japan is pulling out the stops in making a pitch to Singapore for the proposed High-Speed Rail (HSR) project to Kuala Lumpur. After years of declines, Singapore’s home sales are on a roll, even as purchases by foreign buyers have remained muted. THE Singapore dollar surged against the greenback as expected on Monday, in line with other currencies, following a meeting of central bankers in Jackson Hole in Wyoming over the weekend. THE importance of digitisation for Singapore’s growth was laid bare by the chief executive of Info-communications Media Development Authority of Singapore (IMDA). THE Maritime and Port Authority of Singapore (MPA) is teaming up with its Japanese counterpart to start a feasibility study on liquefied natural gas (LNG) bunkering for car carriers plying between Japan and Singapore. National non-profit Singapore Wellness Association has released a new print campaign targeting parents and children who are at risk of becoming obese. Despite a slight dip in the crime rate in the first six months of the year, the number of Internet scams went up significantly, police said on Monday (Aug 28). 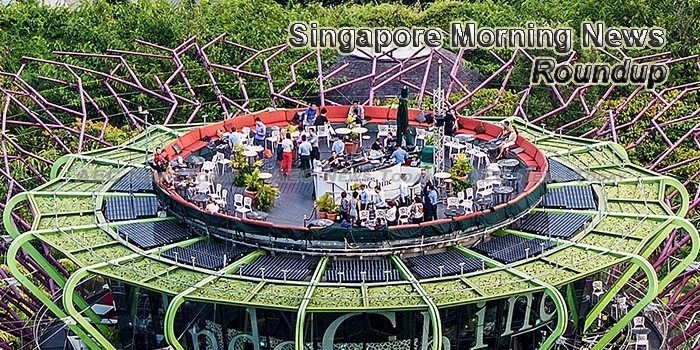 Sloane Court Hotel, along with a small plot of land next to it, has been sold for S$80.5 million to TSky Development, it was announced on the Singapore Exchange (SGX) on Monday (Aug 28). NEW technologies and their applications in countries like China and India have effects on Singapore businesses, said Trade and Industry Minister S Iswaran at the 2017 MTI Economic Dialogue held on Monday. MORE than 2.5 million Singaporeans will head to the ballot boxes on Sept 23 to vote for the country’s eighth President, if there are at least two eligible contenders. Should there be a Japanese winner for the Kuala Lumpur-Singapore High Speed Rail (HSR) project, it could open up new opportunities for the economy here, as Singapore firms are roped in to be part of the construction process. The healthcare community needs to embrace innovations in research and practice, on top of serving its patients with “heart”, said Deputy Prime Minister Teo Chee Hean Monday (Aug 28). But for the intervention of United Overseas Bank (UOB), Mr Muralidaran Naidu’s company would have been fleeced of US$75,000 (S$101,632) by hackers last year. Commuters travelling to and from the Woodlands region can expect to benefit from one new bus service and an additional service enhancement that SMRT will be introducing in early September. Multiple trips to Malaysia, a fake United Nations officer, a fake bank website and a briefcase purportedly containing US$2 million (S$2.7 million) in cash – this was the elaborate set-up of a scam that swindled a woman here of $1.1 million. SPH has diested its stakes in Mediacorp ventures while ST Engineering has acquired repair assets in the US. An Indian national in Singapore to seek treatment for his cancer-stricken wife was convicted on Monday (Aug 28) of sexually assaulting her young nurse. Transport officials are turning to Singapore for help in addressing the country’s perennial traffic problem which is costing the economy at least P2.4 billion daily. Singapore Blockchain scalable database provider Bluzelle has announced it has raised $1.5 mln in a Series A funding round. Last week, the Singapore and Indonesian navies conducted a bilateral mine countermeasure exercise in just the latest defense interaction between the two Southeast Asian states as they commemorate the 50th anniversary of their diplomatic relationship this year. Two freehold condominiums have jumped on the collective sale bandwagon as the local en bloc market continues to heat up. There may have been lukewarm interest from the public for e-scooter sharing services, but a third operator will still be making its mobility devices available for rent in the Central Business District (CBD).